B's Beauty and Books: Bitter Fruits is Live on Amazon! Bitter Fruits is Live on Amazon! Attending a vampire-themed masquerade party seems like a strange way to spend a night, but Nora is sick of frat parties and bars. Meeting Alec was just a bonus. Despite their immediate attraction, however, Alec is wary of involving himself with Nora, and when she pushes it, she discovers that Alec has secrets that could destroy them both. Is she willing to risk everything for a man she hardly knows? How far into darkness will he take her? When Nora attempts to follow, however, things grow more complicated. Someone is hunting her - someone tied to a secret that goes back to the beginning of man. Soon, Nora finds herself drawn to two men, each with his own agenda. 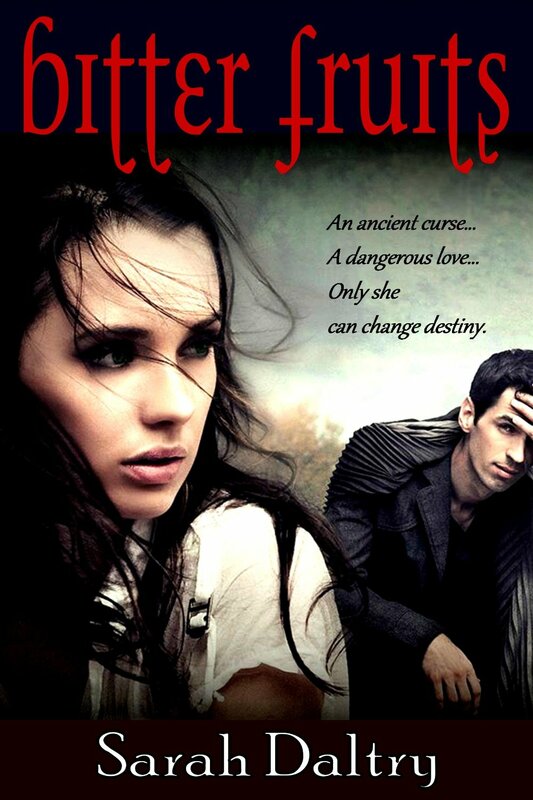 Can she save them both when one is destined to die? Super excited to announce that it is finally released! You can pick it up on Amazon right now! I have started it and I have to be honest, WOW! My tour date is August 20th so come see me when I post my review and spotlight the awesome Sarah Daltry!!!! !